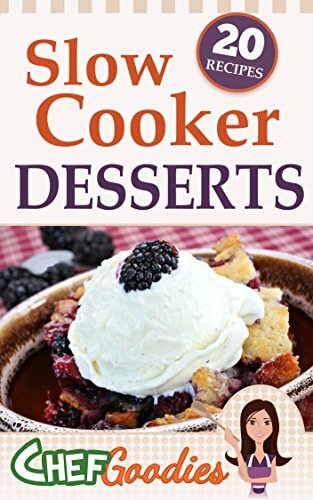 5 Good Slow Cooker Dessert Cookbooks And Two Amazing Ones . Our absolute top favorite slow cooker cookbooks is a great place to start, but we've also gone through specific recipe styles like vegan, paleo, and gluten free. This first cookbook doesn’t specialize in desserts per se but in baking. But, I’m sure you’ll agree that pretty much any type of baking makes for a great dessert, so this book had to make the list. Additionally, many of the recipes in the book are what most people would consider dessert, such as cakes and cookies. The book itself comes from a pretty popular range but the main appeal is probably the sheer number of recipes it offers. Now, a total of 150 recipes isn’t that surprising for a cookbook and we’ve seen many that offer 200 or even 300. However, getting this many recipes in a very specialized cookbook is pretty impressive and reviews suggest that most of the recipes taste great as well. One final thing that we liked about this cookbook was that it actually has images and good ones at that. In reviewing books on slow cooker cooking, we noticed that there are far too many that offer no images and seem to rely on text only. Now, you might be different but we certainly prefer being able to see what the food is going to look like before we start. 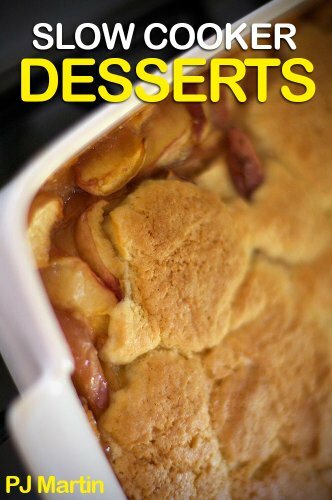 Unlike the previous cookbook, this one is just focused on desserts that you can make in your slow cooker. Even then, there’s a surprising amount of variation, including recipes for cheesecake, bread pudding, candy and cobbler. 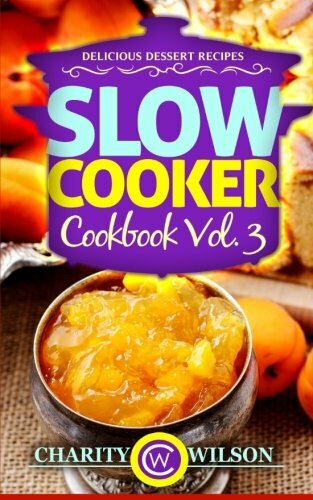 This is another book that makes good use of images and there is also a solid introduction that offers advice about different types of slow cookers and the best ways to use a slow cooker for desserts. The book is also broken into sections based on the type of dessert, so it’s very easy to navigate, regardless of whether you are using the physical or the digital version of the cookbook. Speaking of specialized, this cookbook is more specific again, this time focusing only on cake recipes. Additionally, the emphasis is on low carb recipes, which would be great for anybody following a low carb diet. The fact that the author managed to include 80 different recipes within this very narrow topic area is extremely impressive and the cakes on offer vary from simple to complex. Nevertheless, unlike the previous two cookbooks, this entry is relatively simple and the emphasis is strongly on the recipes, not on appearance or formatting. To that end, there are relatively few images in the cookbook and the bulk of the book simply consists of text. If you’re interested in just the recipes, this shouldn’t be an issue, but it is something to be aware of. This cookbook might be much smaller than the other entries in our list but it still deserves a special mention. In this case, the book simply offers 20 recipes but they are also very simple ones with minimal prep work. Likewise, the book tends to rely on common ingredients, most of which you would probably already have on hand. As such, the recipes would be a perfect fit for people who have little time but want to have an appealing dessert. This cookbook is one that is likely to appeal to some people and not to others. The main reason we say this is that the recipes in this book tend to rely on processed ingredients, like a box of cake mix or a specific flavor of coffee creamer. For people trying to eat whole foods and avoid chemicals, this choice of ingredients isn’t likely to be appealing. However, for people that want fast and easy desserts that taste great, ingredient choices like those can work well. After all, they are great for reducing prep time. Now, it’s probably obvious from the price of this book but we do want to point out that this is another fairly small and simple cookbook. In total, the cookbook offers a little under 40 different recipes and these are given in plain text with basic formatting and no images. Still, the appearance of the book doesn’t stop these recipes from being useful for many families, especially those that like easy to prepare desserts. For the most part, this cookbook follows the same patterns as the previous one we mentioned, however, we felt that it was worth including, partly because of the variety of recipes. Many of the cookbooks on this list strongly rely on cakes as their main type of dessert but this one offered a bit more variety, including candy bowls and stuffed apples. The author also makes it very clear when you can make a recipe with just a slow cooker and when you need something extra, like an insert or a spring form pan. 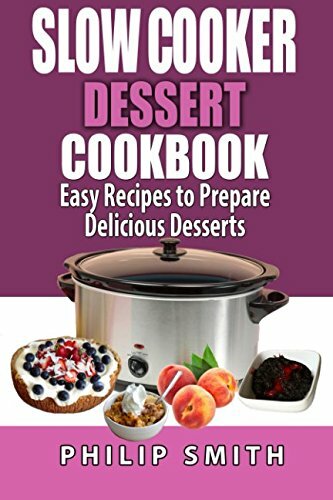 This final cookbook offers 42 different dessert recipes, in addition to some basic information on slow cookers and how to take care for and use them effectively. The book is formatted better than the previous two examples and ends up looking nicer overall, although there are still no pictures. Nevertheless, the real emphasis is on the recipes not the formatting and this book has a range of interesting recipes, which seem to be easy to follow. Some of those recipes are similar to the other books on this list but there are also some different ones, including a Pina Colada Lava Cake. So, despite the basic formatting, this is still a useful book to increase your dessert options. There isn’t a large amount of choice with cookbooks for slow cooker desserts and many of the cookbooks fall into the pattern of being fairly short, simple and with little visual appeal. 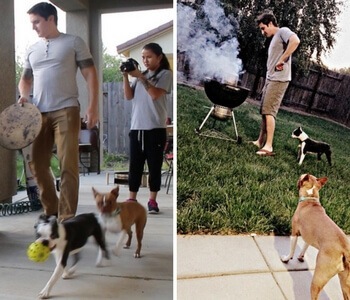 Nevertheless, they can still offer decent inspiration, especially as many of them are fairly inexpensive. Additionally, there are two key books in this list that we strongly recommend. 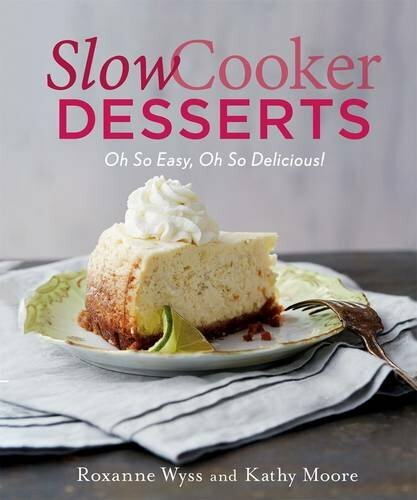 The first of these books is Slow Cooker Desserts by Roxanne and Kathy. This book is appealing for the range of dessert recipes that it offers, along with the fact that the authors actually put effort into the recipes and the formatting. With so many different recipe types in the book, you’re bound to find some recipes that you would want to try out. The other option that we suggest is Fix-It and Forget-It: Baking with Your Slow Cooker. 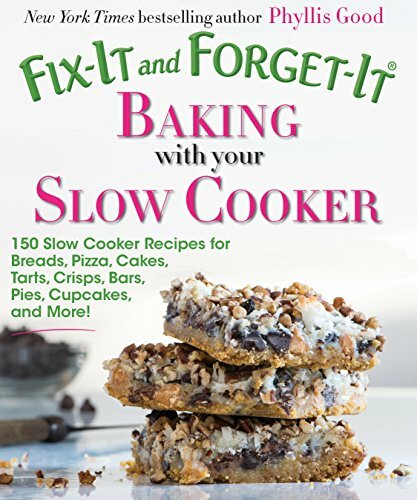 Even though this book focuses more on baking than desserts, it’s still a very good option for slow cooker desserts, especially as the book has so many different recipes. It is also one of the best choices in this list in terms of formatting and images, while the recipes themselves also seem to be above average. We've created a number of original slow cooker dessert recipes ourselves that you can browse in our original recipe posts, or check out our list of slow cooker reviews and ratings to see a list of prices, brands, models, sizes, and comments about what people are saying about a wide variety of slow cookers out there. Having cook kitchen tools and cookware makes creating delicious meals faster, easier, and more reliable so don't hesitate to invest a bit of money into these devices. They tend to last for a very long time, so are worth some extra money up front!